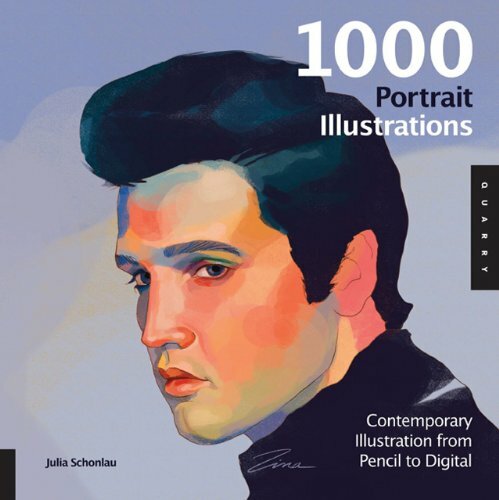 1000 Portrait Illustrations is a great reference book for those who like portraits or into portrait drawings. It's a 320-page paperback book that features more than 150 artists. The artworks are divided into three categories: realistic, experimental and imaginary. There's a good variety of styles and techniques, and work across different mediums. You see more leeway in the experimental and imaginary sections with the use of collage, stylistic rendering and forms of abstractions. Also check out Illustration Now! Portraits for even more portraits.